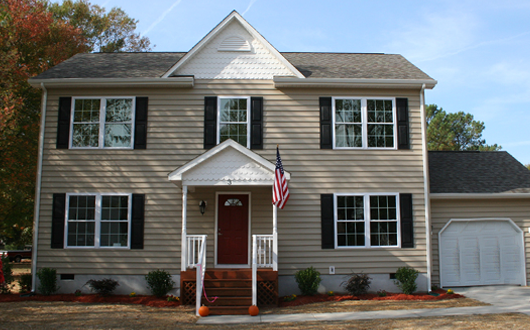 Tour of modular home for disabled veteran – Features a fire supression – first house in James City County to have this. Giving tour of new modular home we built for a disabled veteran with SAH (specialized adaptive housing) program in Williamsburg, VA. We also installed a Generac generator for the home for the family. Tour of modular home for disabled veteran in James City County.